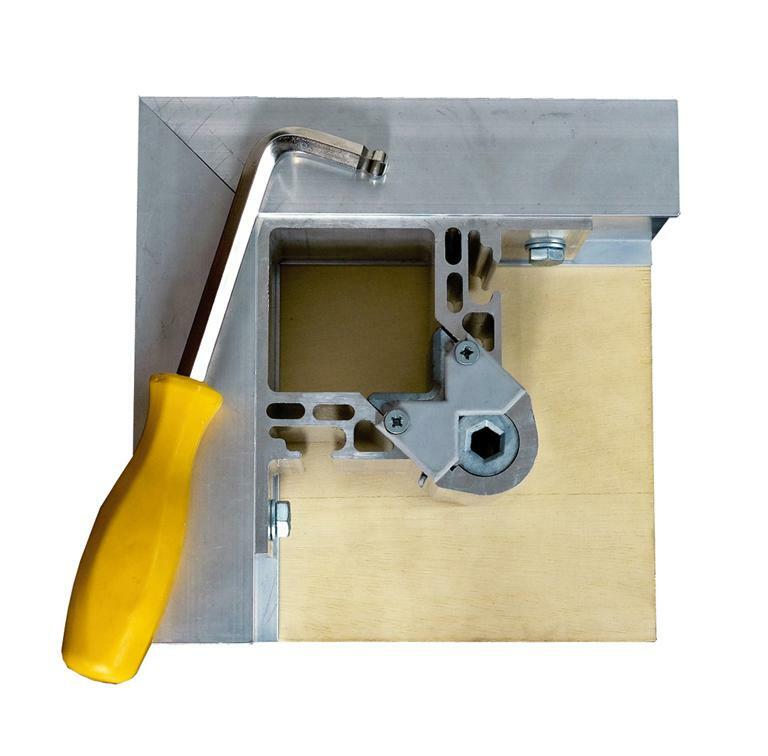 Trenomat stages are some of the most robust on the market. 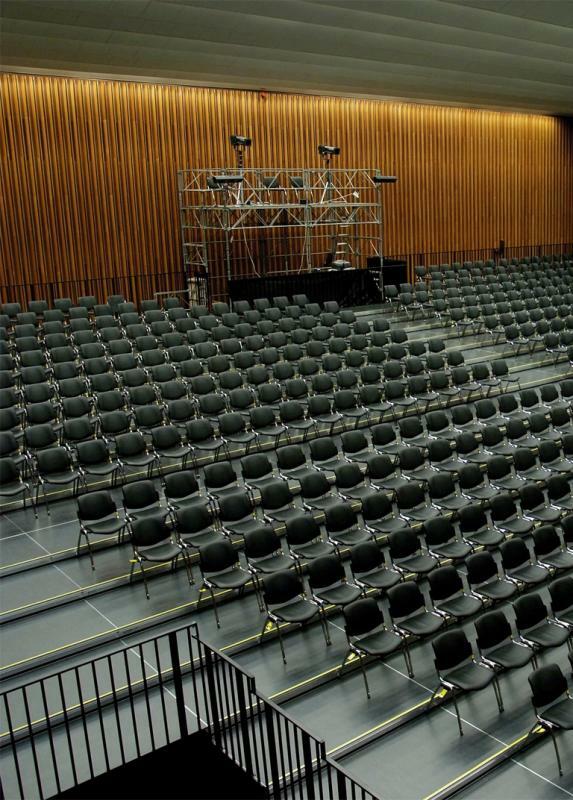 Popular with professional venues, Multi is the most heavy-duty of them all. It features a sturdy 25mm deck plate and can be supplied up to 2m high without any additional bracing (or 4m high with bracing). Stages are constructed from modules which fit together using the slot-in binders supplied. 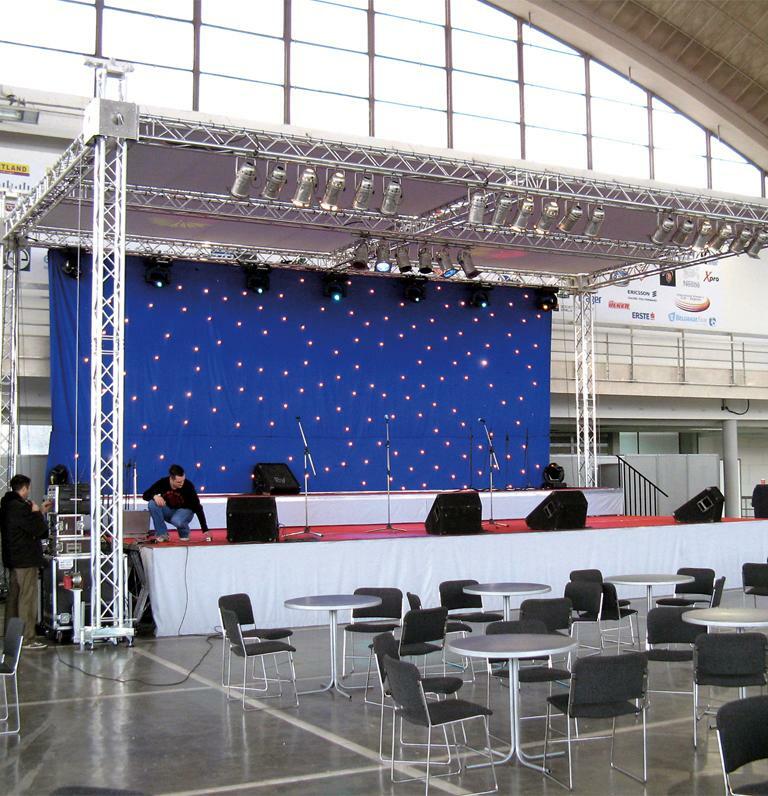 The system is completely flexible; stages can be built up from standard 2m x 1m, 1m x 1m or 2m x 0.5m modules with a legs at various heights. Alternatively the stages can be built to your bespoke design. A wide range of accessories is available. Trenomat Multilight stages are available with a wide choice of leg types, full details of which can be viewed on the product datasheet. Options include fixed height legs or telescoping legs. Various foot options are available, including protective rubber feet and levelling feet. See product datasheet for details. 2m without bracing; 4m with bracing. For all height options, see product datasheet in the downloads area of this page.